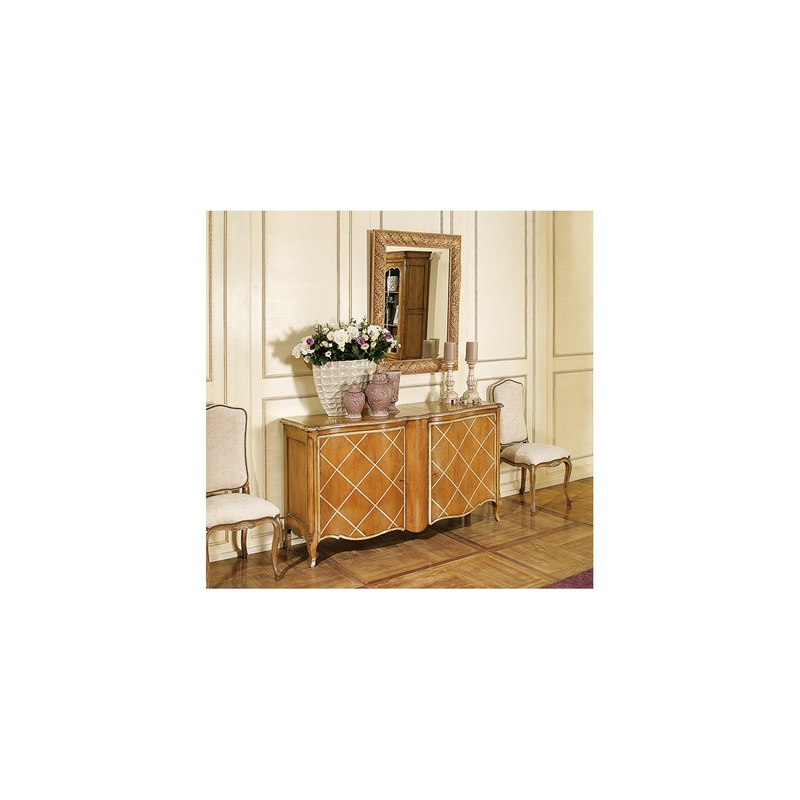 Charming and handsome, this French Sideboard Cabinet With Decorated Doors is the stylish storage every dining room needs. 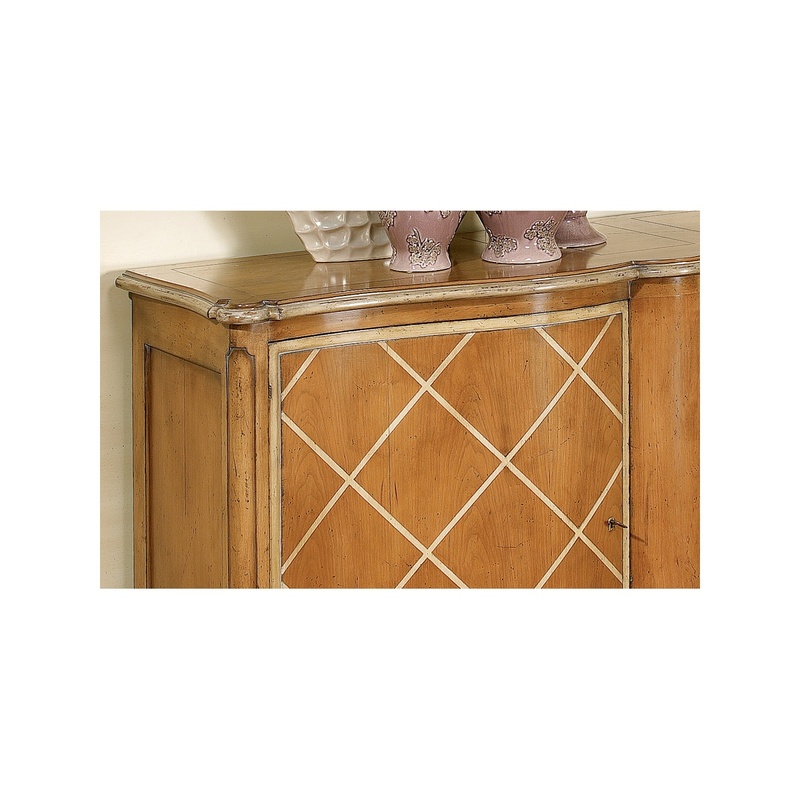 Behind the intriguing, pretty ivory paint decorated doors are spacious shelves for storing linens and dinnerware service. 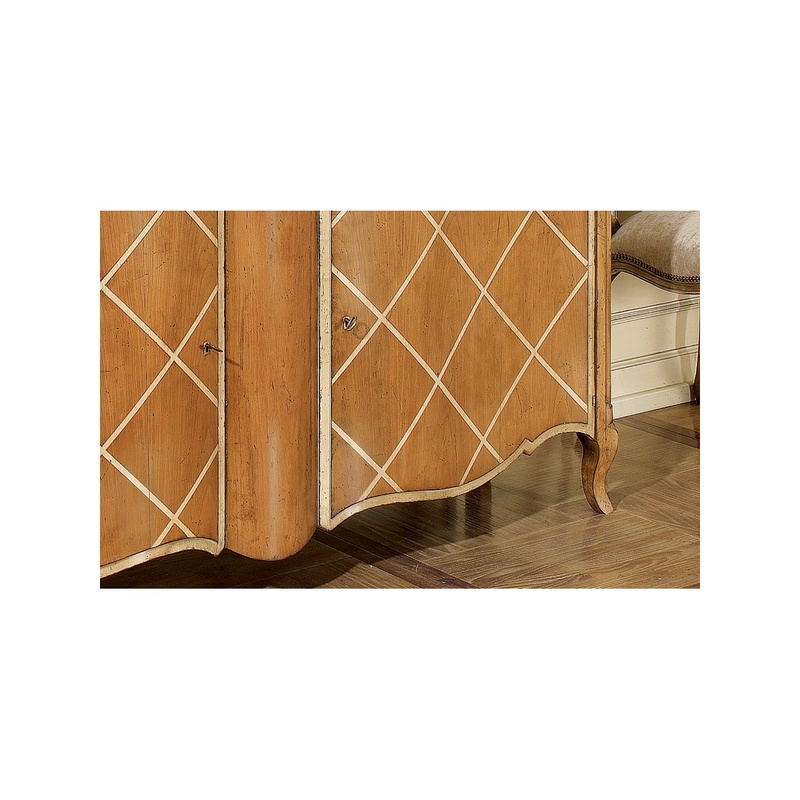 Delicate details of an amber cherry wood, painted ivory details and antique brass hardware dress up this hard-working piece in dashing attire. 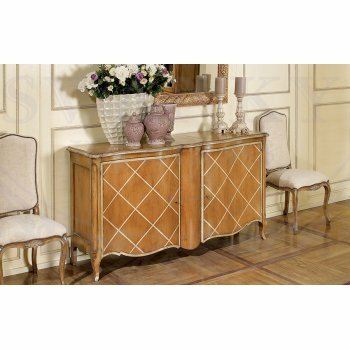 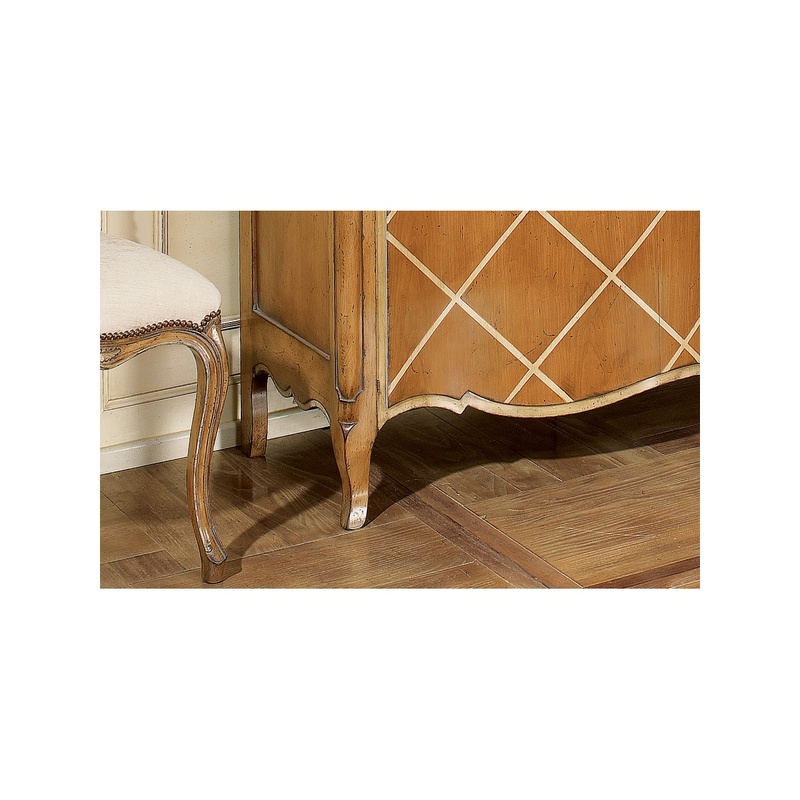 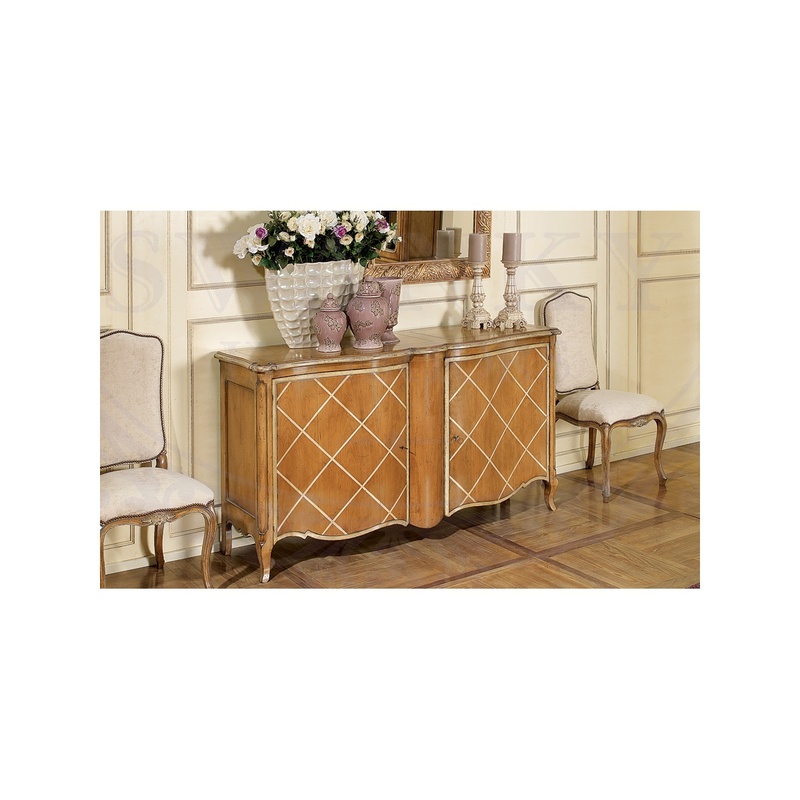 Use the beautiful French Sideboard in your dining room for a stylish French Country look, while enjoying plenty of storage space.